Color high-lighting: Comics already ‘on wish list’ now have an orange title, comics already “in collection” show up with a blue title. 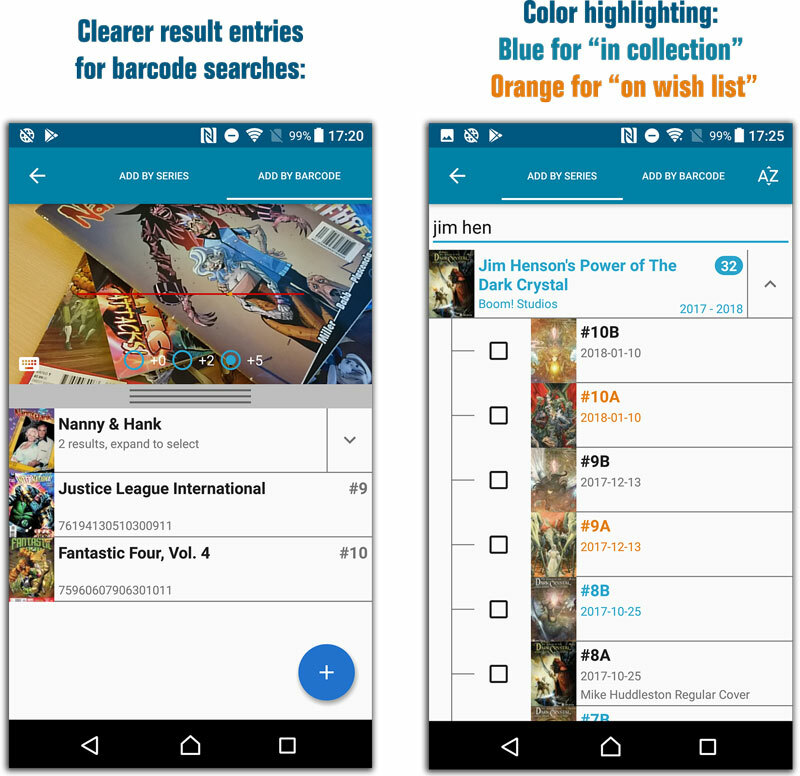 Clearer result entries for Add By Barcode searches, especially in cases of multiple results. After restarting the app an empty details template could sometimes show. Duplicate comic credits after updating coming from CLZ Core. After restarting the app it would sometimes repeatedly scroll to the last added comic. Sorting not working within a series folder in the main screen.